Joseph Mar Barnabas Episcopa with an ever smiling face, appealing behaviour and keen to keep up personal relationship was born on 8th September 1949 as the son of Ancherry Christos Parish Elakkatt Kaduppil. E.V. Jacob and Manganam Chemmarappallil Saramma. After basic education in Erikad and high school education in Puthupally St. George School Joseph Jacob completed degree from Baselios and CMS Colleges and BD Degree from Bishop’s College Calcutta. He was ordained as Semmas by Joseph Mar Iraneus Episcopa on 29th May 1976 at St. Thomas Church, Thiruvalla and as Kassessa by Thomas Mar Athanasius Episcopa on 12th June 1976 at Christos Church, Ancherry. He got his degree in Theology from Bishops College, Calcutta and Diploma in counselling from Alberta St. Stephen’s College. He served Kozhikode Chengaroth Immanuel Chempanoda Carmel, Kelakom Immanuel, Anakulam Sehion, Mumbai Santacruz, Chembur, Thuruthikad, Valankara, Kalamassery, Eloor, Madras North, Vellore, Neyveli, Thalappadi Nazreth, Meenadom Salem, Puthuppally Horeb, Puthupparamb St. Luke, Canada Edmanton Trinity, Calgory, Fort Magmory and Niranam St. Thomas parishes. He was consecrated as Ramban at Mavelikkara Thazhakkara Mar Thoma Church on 31st August 1993 along with Thomas George Kaseessa and A.I. Issac Kaseessa. He was consecrated as Joseph Mar Barnabas Episcopa at the Madbaha in the SCS Compound, Thiruvalla on 2nd October 1993. Thirumeni took charge of Chengannur – Kozhenchery Diocese on 1st November 1993. (This Diocese was later known as Chengannur – Thumpamon Diocese). 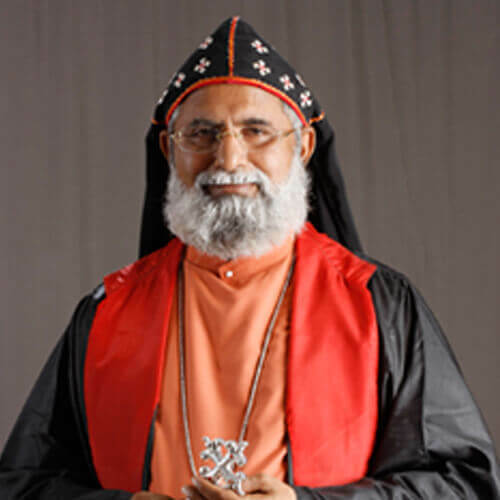 He was appointed to lead Kunnamkulam – Malabar Diocese from 1st April 1997. Special attention was drawn by Kudumba Sangamam which was started when he was head of Chengannur – Thumpamon Diocese. He worked as Chairman of Kompady Abraham Mar Thoma Memorial Institute and Episcopal Jubilee Institute and also as the President of Mar Thoma Voluntary Evangelists Association. He was able to provide a new awakening and vigour to the Mar Thoma Voluntary Evengelists Association. He gave laudable leadership to Delhi – Mumbai Diocese from August 2001. He worked as the Chairman of Lectionary Committee and Liturgical Commission. He published cassettes of liturgical songs, namely ‘Thybooso’ ‘Hasa Kramam and Rogopasanthi’ and ‘My Lord and My God’-giving details of the history of our Church. The books ‘A short history of Malankara Mar Thoma Sabha’ and ‘The Indian Churches of St. Thomas’ were republished. he was published ‘Padapeedathinkal’, ‘ Thirunivasam Etra Manoharam’, ‘At the father’s feet’ and ‘Roots and wings of our liturgy’. A daily meditation book was published from Kompady and ‘Jeevamrutham’ a correspondence course was started from E.J. Institute. he was Chairman of 2010 Vaideeka Directory. He continues to be the head of Bible Society of India. Kerala Auxiliary, DSMC, MCRD, Church Animation Centre, Website Committee, Liturgical Committee, Lectionary Committee and ‘Dayaraya Samooham’, Manager of Titus II Teachers Training College and member of Mar Thoma – Jacobite Dialogue Commission. Thirumeni is very keen to be a ‘Meditation Guru’ in the Syrian Church tradition. He specially takes note of the noble tradition of the Church. Sweet and pleasant behaviour coupled with a simple life style makes his personality a noble one.